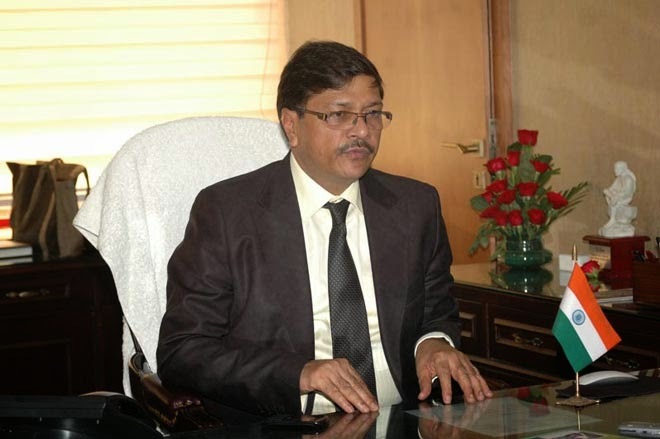 THE Appointments Committee of the Union Cabinet has extended the tenure of Dr Anoop Kumar Mittal, Chairman and Managing Director of NBCC (India) Limited in recognition of his invaluable contribution and pioneering work towards creating a world-class organisation. in various capacities at NBCC after joining the Navaratna PSU in 1985. After becoming the CMD in 2013, he transformed the state-owned construction major into a one of the leading construction companies in the country. He has been instrumental in setting fresh benchmarks and credited for adopting new technologies for developing environment-friendly residential, commercial, institutional and office landmark projects. The PSU is engaged in many flagship schemes of the government like Swachh Bharat Abhiyaan, Namami Gange, Smart Cities Mission, Skill India, and Housing For All by 2022. Dr Mittal’s continuation at the helm will enable NBCC to execute huge pipeline of projects as a part of nation building. NBCC (India) Ltd., is a blue-chip PSU under the Ministry of Housing and Urban Affairs (MoHUA), Govt. of India. Its present areas of operations are categorized into three main segments, i.e. (i) Project Management Consultancy (PMC), (ii) Real Estate Development & (iii) EPC Contracting. NBCC’s success in implementation of the government’s New Moti Bagh Re-development Project, has earned it a huge dividend in the form of awarding of another Rs.5000 crore project in similar lines, named - East Kidwai Nagar Re-development (New Delhi) to the Company which is under implementation at present. Apart from redevelopment, the other category of the real estate also holds a great promise for the future of the PSU as it has about 30 residential and commercial real estate projects presently going on at various locations of the country and more are coming up with huge investments. NBCC ventured into Overseas Operations in the year 1977, executing projects of diverse nature in countries like Libya, Iraq, Yemen, Nepal, Maldives, Mauritius, Turkey, Botswana. Presently, the PSU has its presence in Maldives, Turkey and Botswana implementing various projects and earning consistent revenue. Of late, NBCC has opened an office in Oman and also signed an MoU with Al Naba Services LLC in Oman in order to jointly explore and secure infrastructure projects in Sultanate of Oman & neighbouring countries.